A great looking set which you can use to transport your items AND to use during your act! 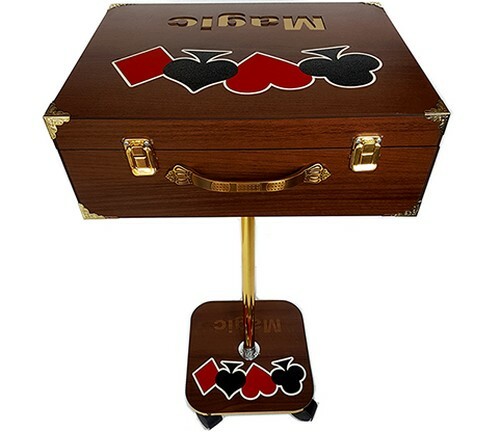 The base packs inside the suitcase (when it is party or totally empty) and the suitcase and bottom plate are beautifully decorated with the words MAGIC and card symbols. Assembly takes about 20 seconds. No more need to bring a separate suitcase and table - this is all in one! It can carry an entire show for your convenience.